(4) from February 2016 on the Salerno Music Conservatory. and were consolidated here onto a single page. That entire process is quite different than the Italian one. These things change with education reforms over the years, but currently, Italian education promotes specialization as soon as possible after "obligatory" schooling (currently, primary school and scuola media - a Middle School; plus two years of secondary schooling—thus, until age 16). Secondary education is grouped into various kinds of specialized licei (sing. liceo) - high schools: Classical, Scientific, Artistic, Linguistic and, recently, Drama & Music (usually grouped together). Some of those fit into the umbrella sub-classification of alta formazione artistica, musicale e coreutica [higher instruction in the arts, music and dance]. Included are academies of fine arts, dance, drama, industrial arts, music conservatories and "equivalent" schools of music. "Equivalent" [pareggiato=made equal] is the Italian term that generally covers private schools that have become certified by the Italian state such that their diplomas or degrees are accredited as equal to those issued by state schools. This is quite common and there are many such "equivalent" institutions of higher education. They all answer to the Ministry of Education. In the case of music, there are, indeed, many institutions that started life as private schools and were later promoted or "made equal to" conservatories. (As noted in items 2 and 3, below, the word conservatorio, itself, originally meant a church-run institution that "conserved" children—orphanages dedicated to preparing children for life in various trades, including music. That particular musical training was very strong in Naples (and also in Venice); there were four original conservatories that specialized in musical training in Naples. In the case of music, you don't just pick any lyceum and then go and "major" in music. You try to go to an appropriate high school. Music instruction is thus generally aimed at preparing young people for a profession in music; it is not a means to broaden their general education. Many years ago if you were destined for music as a career, you would have made that decision very early and gone to a conservatory as early as possible after elementary education. With the addition of the Drama & Music Lyceum, that choice can now be postponed somewhat. Nevertheless, such specialized education in music is not to make you an all-round well-educated person but to make you a professional musician. So your educational track would be (1) elementary school (2) a Drama & Music Liceo (3) a music conservatory. 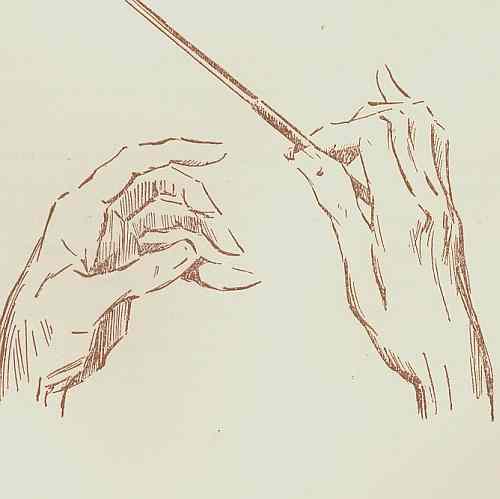 One hears that there are many dozens of music conservatories in Italy. While that is true, it is also important to realize that they offer training that is not available elsewhere (such as at a regular university). In 1806, with Napoleon Bonaparte's brother, Joseph, installed as the king of Naples in what would be a decade of French rule of the kingdom, monastic life in the kingdom was drastically reorganized and the four monastery music schools were consolidated into a single building, the Church of San Sebastiano. In 1826 that consolidated conservatory was moved to the present site, the ex-monastery, San Pietro a Maiella. The conservatory (still bearing the inscription 'Royal Academy of Music' over the entrance) is still an important music school in Italy. It houses an impressive library of manuscripts pertaining to the lives and musical production of composers who lived and worked in Naples, among whom are A. Scarlatti, Pergolesi, Cimarosa, Rossini, Bellini, and Donizetti. The historical museum has a display of rare antique musical instruments. The building is a square Gothic-style church; after a fire in 1407 it was restored and enlarged by the addition of two chapels and the relocation of the facade. The interesting art works within include a chapel by an anonymous artisan that tell the story of Saint Martin, and the numerous frescoes above the choir. The marble altar is from 1645 and is by Cosimo Fanzago. The church was redone in Baroque style, as evidenced by the paintings of Mattia Preti inserted into the ceiling of the central nave. They depict the Story of the life of San Celestino and Santa Caterina of Alexandria and were done in 1657-59. The church is on a street of the same name near Port’Alba, within the bounds of the old Greek city. The life of the conservatory has always been bound up with that of another great musical establishment in the city of Naples, San Carlo Theater. When you walk by the music conservatory in Naples, you hear the sounds of instruments wafting out over the street from practice rooms on the premises, a monastery that was converted into a music school in the early 1800s. I have not been inside the building to see students practicing, so I don't know what they have to put up with. I hope it is better than this description by Charles Burney (1726-1814) an English musical historian (portrait, above). He wrote an important 4-volume History of Music as well as accounts of his travels. I found the following in Musical Italy Revisited by Sigmund Levarie (MacMillan. New York. 1963.) 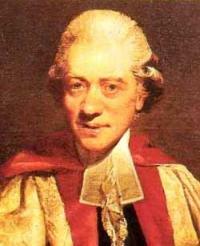 The author cites as his source, Charles Burney: Musical Tours in Europe (ed. Percey A. Scholes. 2 vols. London: Oxford University Press, 1959). The original source is apparently Burney's The Present State of Music in France and Italy, published in 1771. The reference is to the Conservatory of St. Onofrio, one of the original music schools in Naples before they were combined into one facility. It was on the premises—as they all were, at the time—of a monastery. ...This morning I went with young Oliver to his Conservatorio of St. Onofrio, and visited all the rooms where the boys practise, sleep, and eat. On the first flight of stairs was a trumpeter, screaming upon his instrument till he was ready to burst; on the second was a french-horn, bellowing in the same manner. In the common practising room there was a Dutch concert, consisting of seven or eight harpsichords, more than as many violins, and several voices, all performing different things, and in different keys: other boys were writing in the same room; but it being holiday time, many were absent who usually study and practise there together. 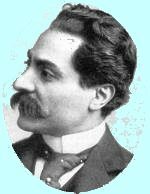 The Salerno Music Conservatory is named for Giuseppe Martucci (pictured). * According to the institution's own publicity it is the “second largest institution for musical studies in Italy.” It has undergone recent additions (a 350-seat auditorium), structural restoration inside and out and has seen a notable increase in students (more than 1,200 in 2013). It offers a wide range of instrumental and vocal degree programs, master classes, concerts and is an active member of ESN, the Erasmus Student Network, a Europe-wide student exchange program. It is located on a height with a fine view of the gulf of Salerno, just down the way from the beginning of the famed Amalfi coast. The history of the building is long and mixed. It started life as a Benedictine monastery, founded in the 11th century when the city of Salerno was still part of the capital of the Longobard Duchy of Salerno. The Benedictine order held the premises until 1407. The building then went through centuries of other use, clerical and secular, including use as an orphanage where music instruction was given beginning in the very early 1800s under French rule. At the unification of Italy in 1861, it followed the nationwide trend of expropriation of religious orders and the conversion of the old buildings to a variety of uses, all secular. The premises remained a musical school, but the Salerno institution was in reality a “music liceo” (see item #1, above) administratively connected with the Naples conservatory (see item 2, above). It was fully accredited as a fully autonomous university-level conservatory after WWII.